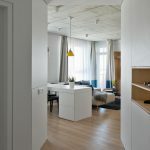 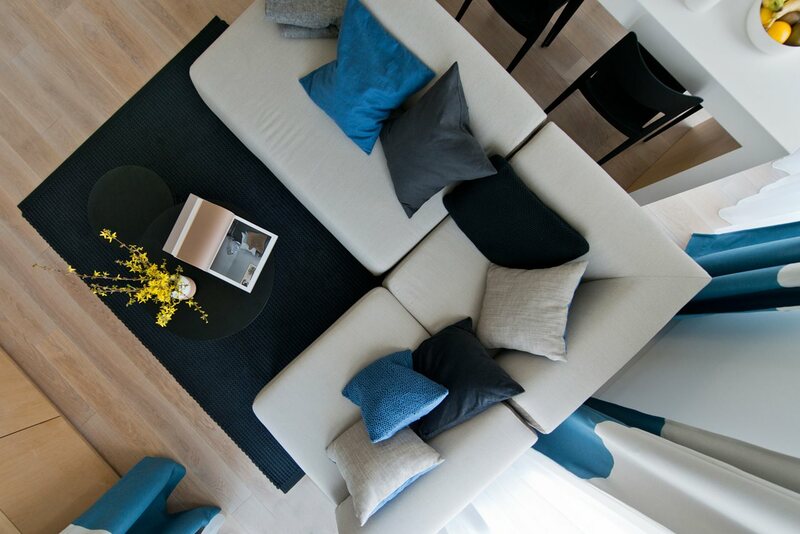 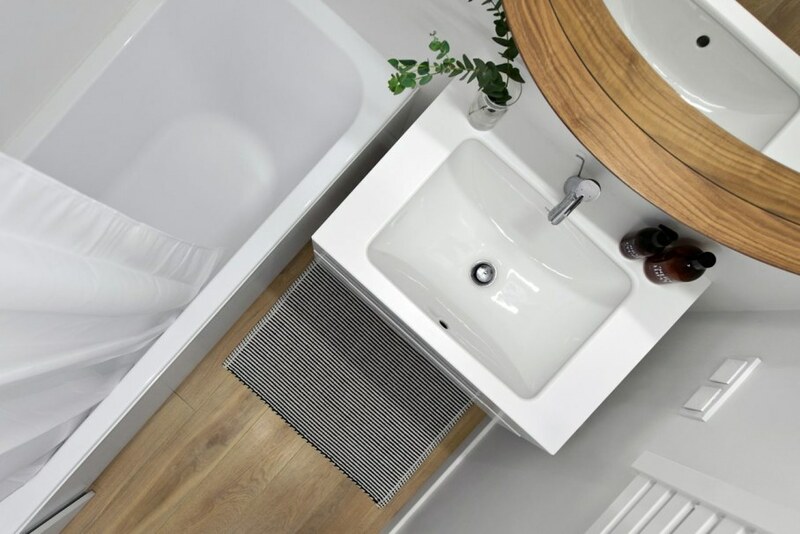 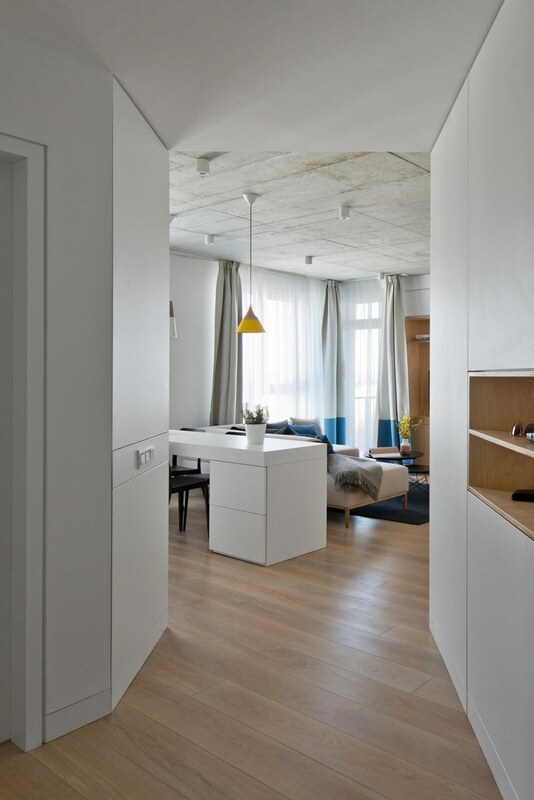 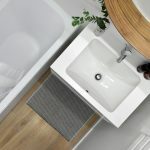 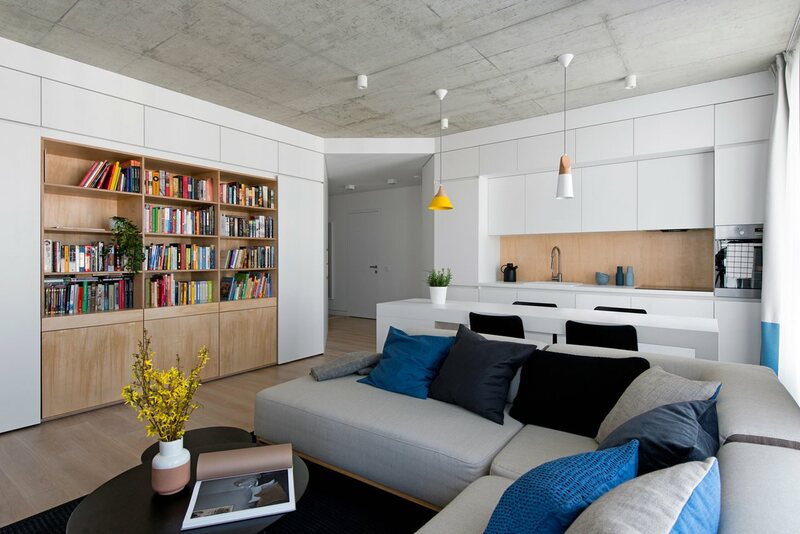 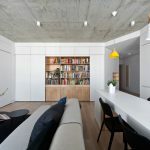 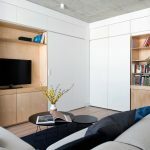 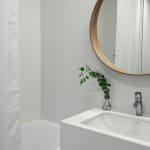 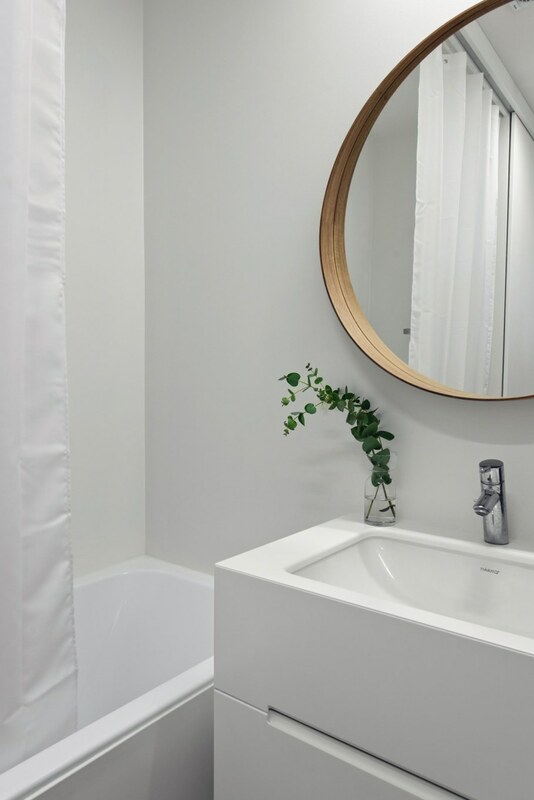 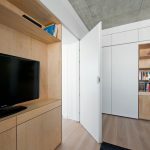 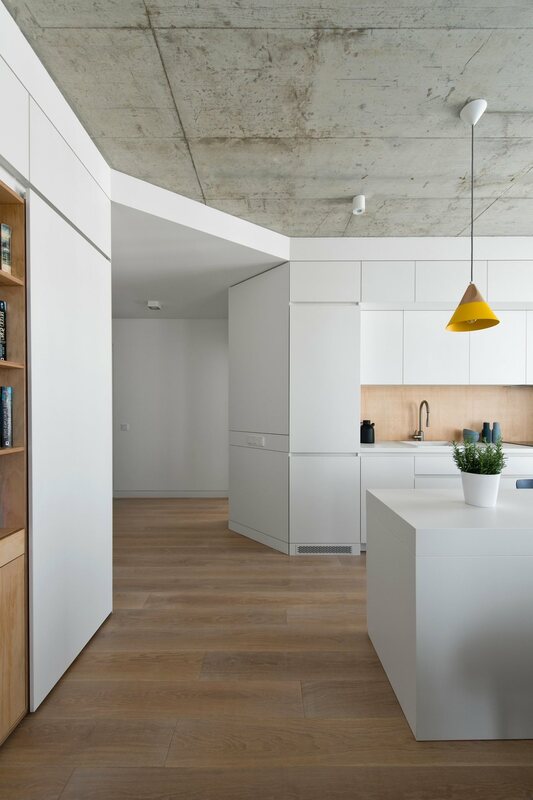 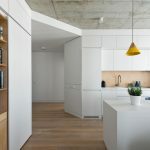 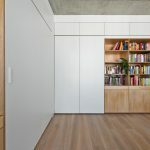 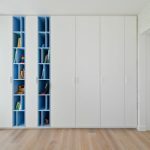 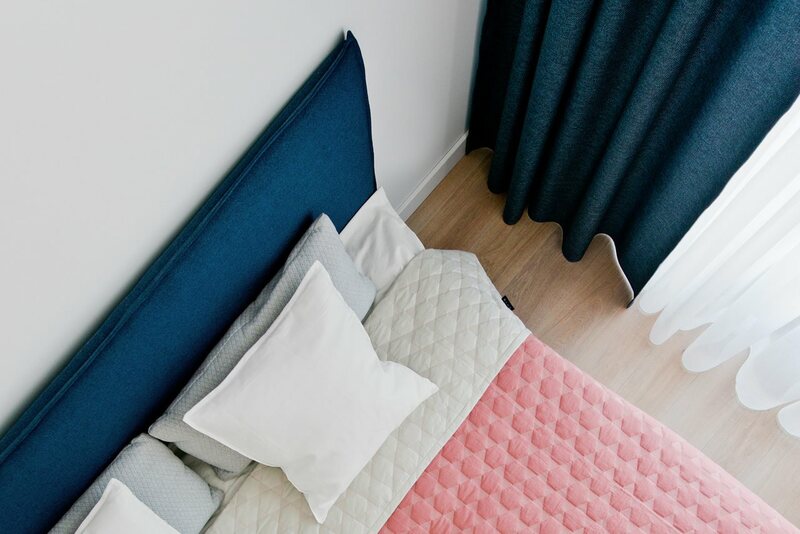 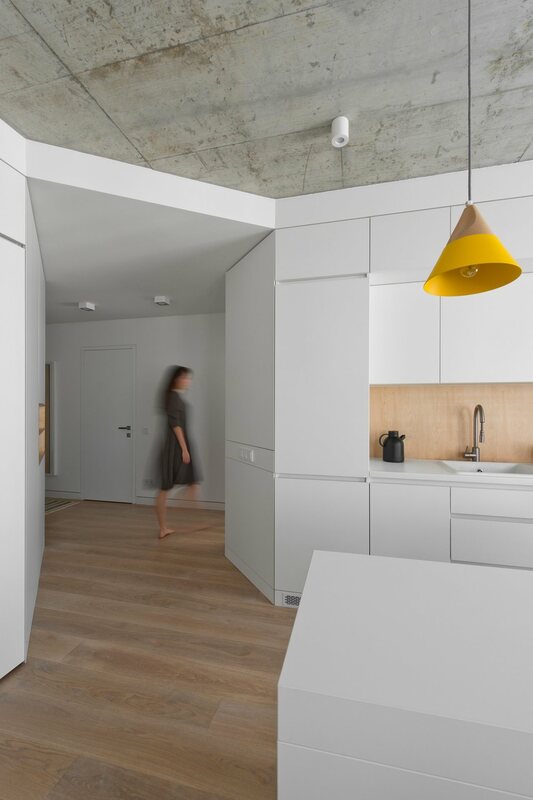 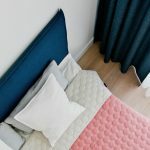 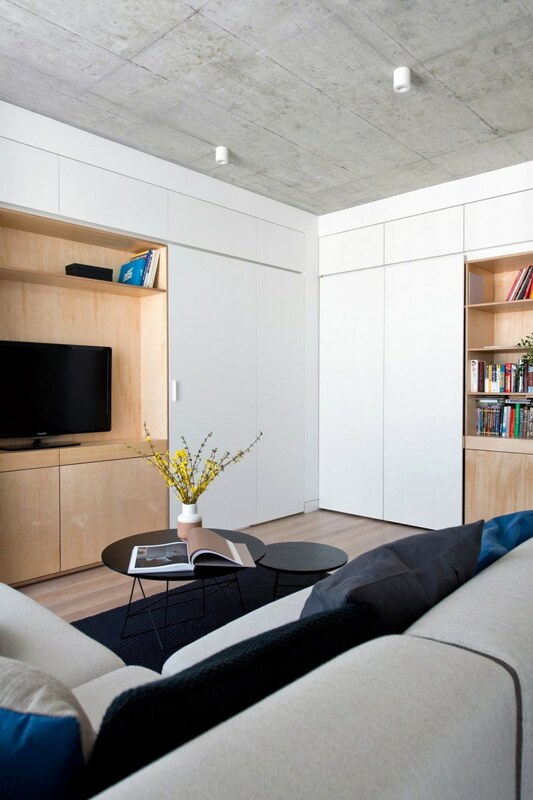 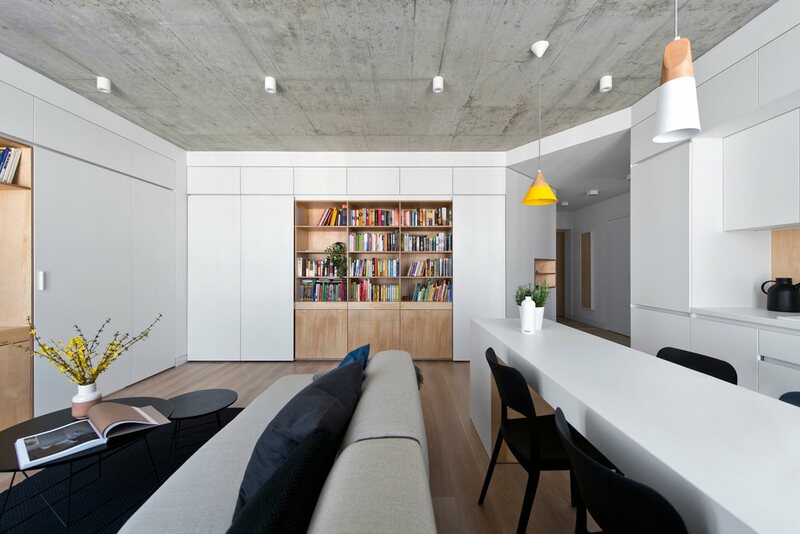 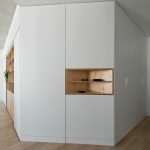 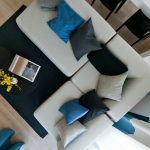 Normundas Vilkas architectural bureau has decorated the interior for a young family in the apartment building in Vilnius (Lithuania), which is under construction. 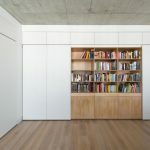 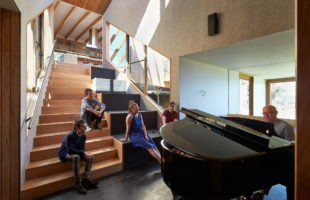 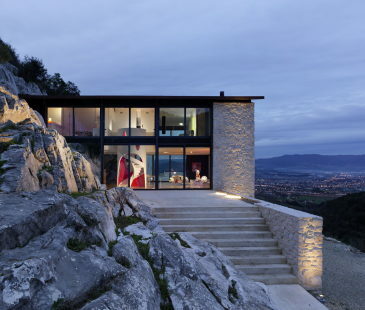 Because of relatively small space and low budget the architects were forced to search for unusual decisions of usual problems. 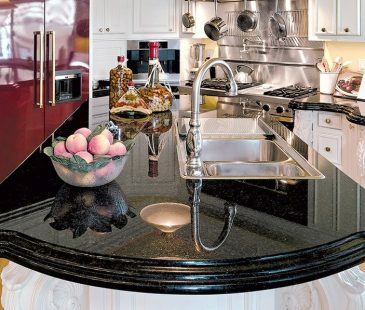 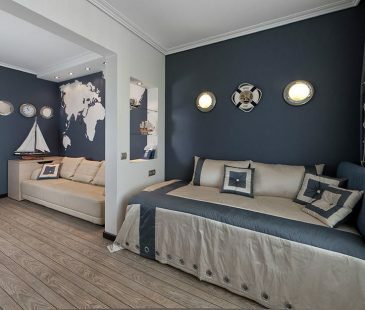 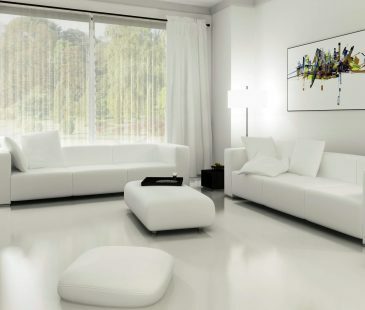 The living room furniture is manufactured in accordance with the clients` needs. 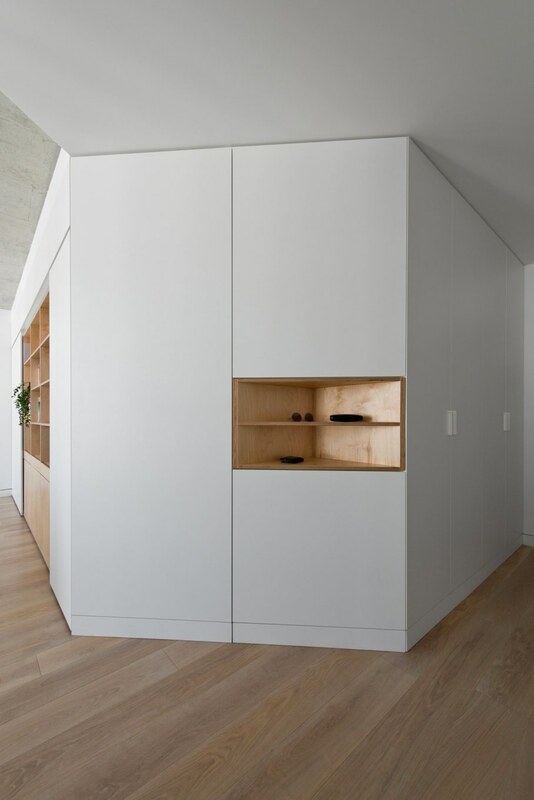 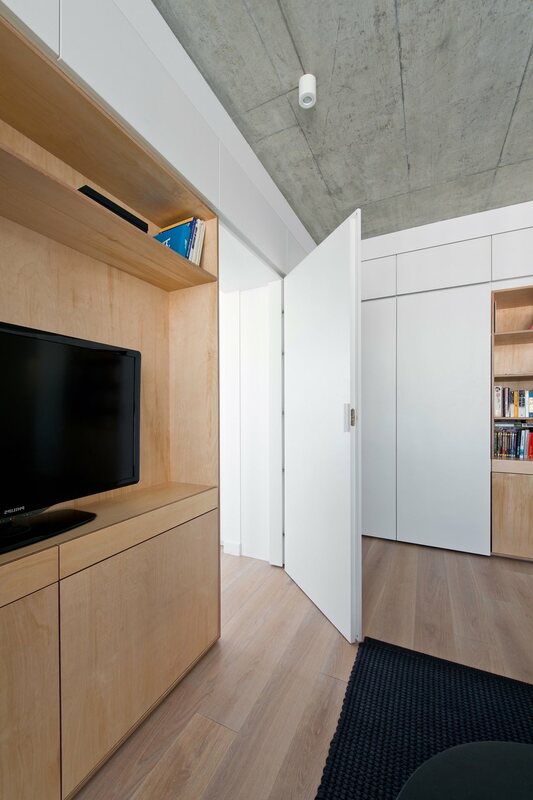 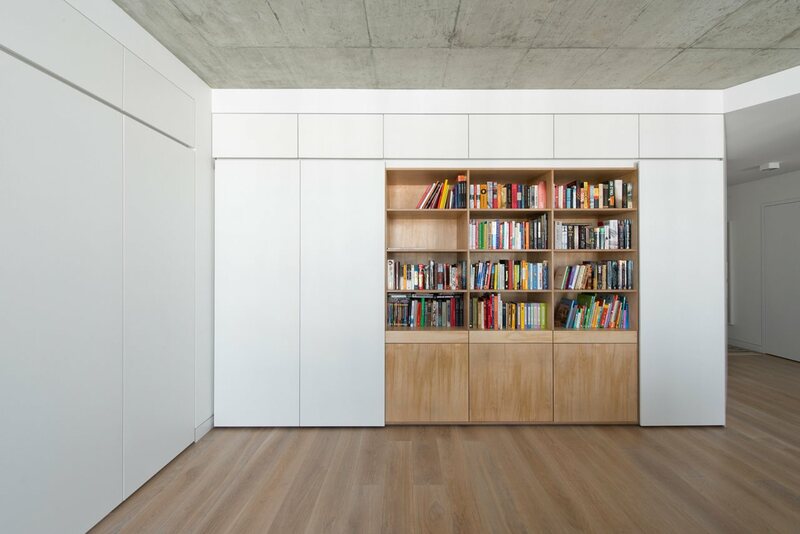 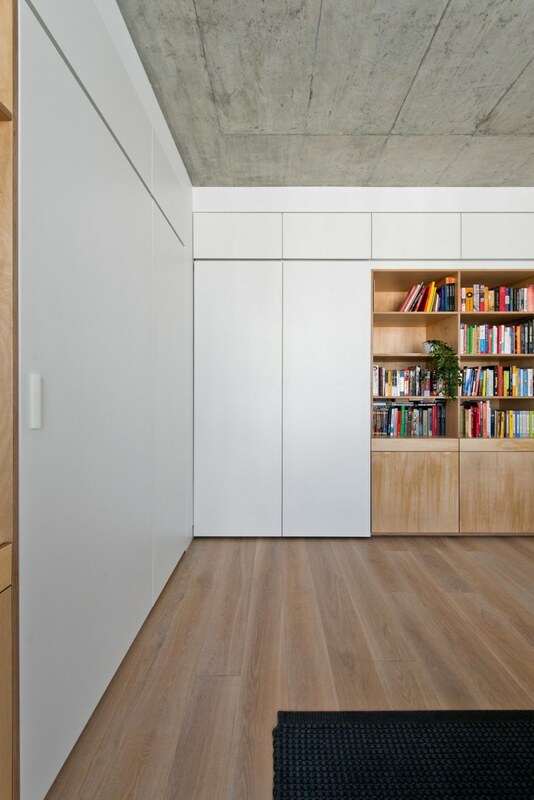 A big bookcase of lacquered wood is the main element of this zone, allowing to store pretty big amount of books. 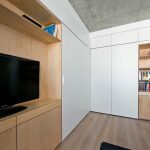 Its horizontal-sliding doors hide the working place with a computer. 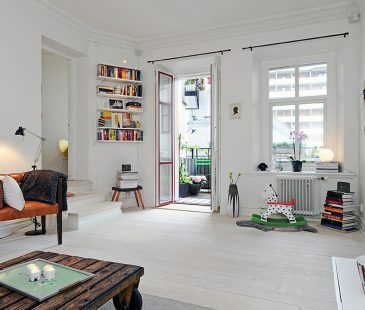 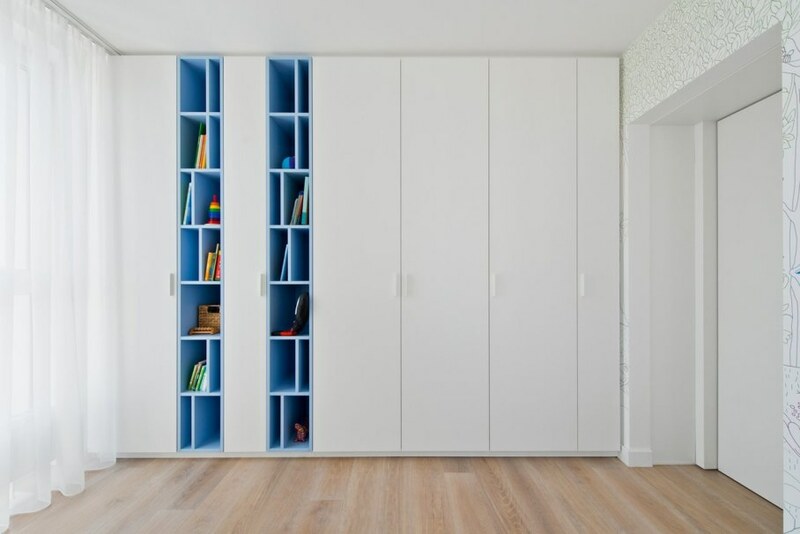 Such bookcases act as functional elements in each room. 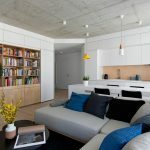 City view outside the window corresponds with the apartment`s style, as the latter contains elements of unpolished concrete, plywood, white walls, oak floor and uncluttered furniture.